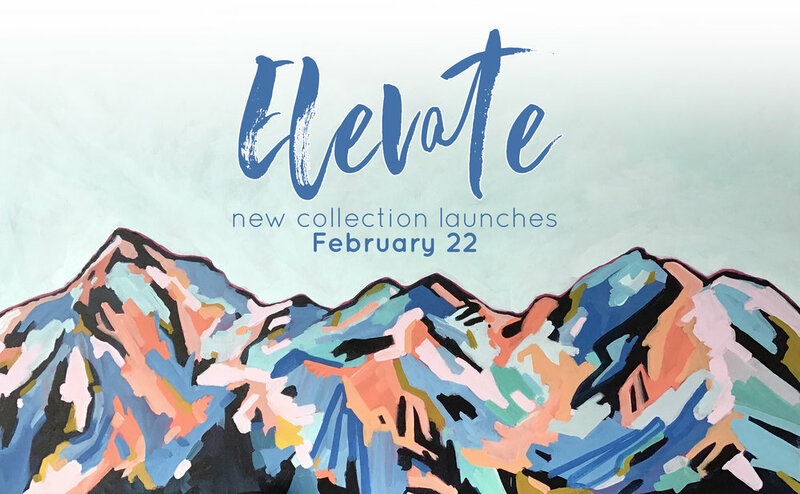 Elevated is a study of the rocky mountains. One of the things that inspires me most when I’m painting is my environment, particularly significant changes in my environment. Having moved back to Edmonton from my year abroad this past September, it felt like I was experiencing Alberta with fresh eyes all over again - the sheer amount of space, the prairies, the mountains! The collection explores the rockies from all angles - seasons, colours, textures, shapes, levels of abstraction. I see the world in technicolour - and this collection represents that well. :) The collection contains 20 pieces, varying in size from 12x12 right up to 30x48.